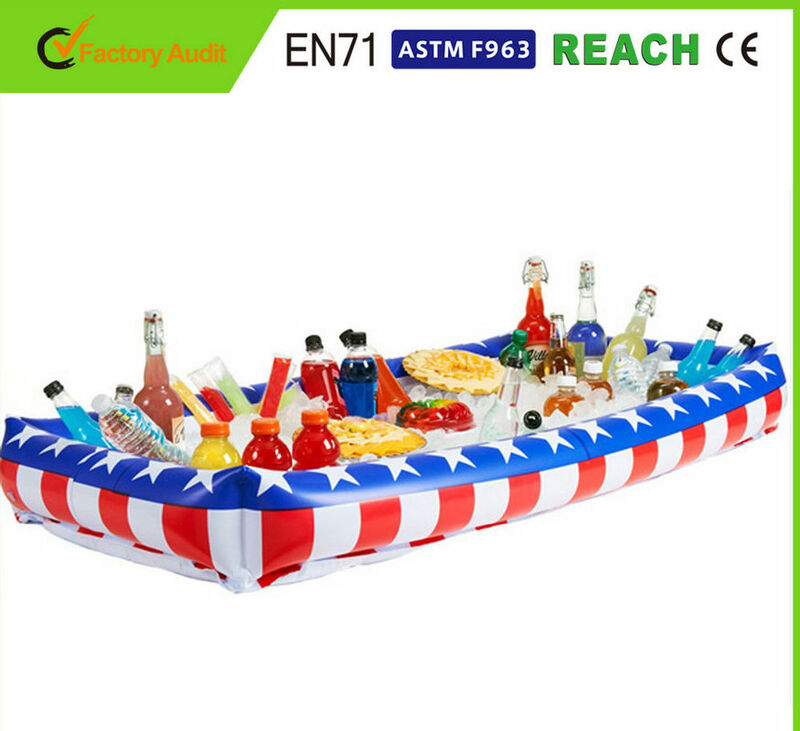 Keep food and drinks cool and fresh for hours, from soda to beer, whatever your summer poolside party is serving, this buffet can handle it. 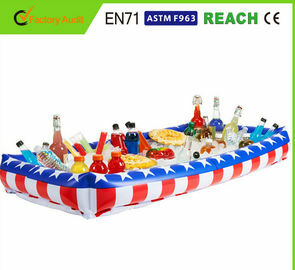 this Inflatable Serving Table like your Refrigerator but more full space and convenient.It can even float in your pool. Made of l durable eco-friendly PVC material,it is resistant to wear and tear, and can be reused many times over. On-time shipment, Perfect quality and competitive price guarantee. OEM and ODM are highly welcomed. Color As your pantone no. 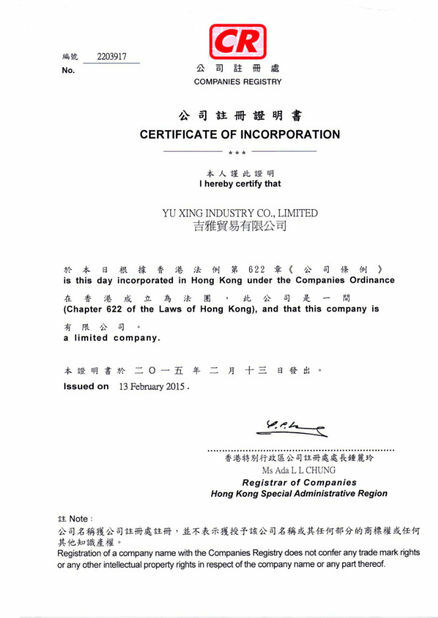 Yu Xing Industry Co., Ltd is a professional manufacturer which produces all kinds of inflatables includes swim tool, toys, promotional gifts, advertising, balloon, castle, bouncer ect., it covers 20,000 square meters and has advanced equipment of 150 sets of high-frequency weldingmachine and series of screen printing platform, as well as 100 sets of sewing machine. More than 200 rich experienced employees are working with great dedication to constantly improve on the product performance. All of our products comply with theEN71(Europe) and ASTM(USA) standards. We were TUV and Iso9002 quality management system certified and passed ICTI and GSV factory audit. Sincerely looking forward to further cooperation with you,we are sure that you will find it is a pleasant, time-saving and profitable experience to work with us. Color: As your pantone no.